Deborah Becker, MEd, is a senior research associate and rehabilitation specialist with extensive experience in supported employment and serves as director of the Individual Placement and Support (IPS) Learning Community. Ms. Becker was a research associate professor of Community and Family Medicine and of Psychiatry at the Geisel School of Medicine at Dartmouth. She was also the senior project director at the New Hampshire-Dartmouth Psychiatric Research Center. 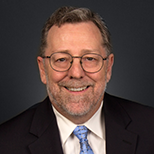 David Morganstein, MA, has special areas of expertise in the design and application of sample surveys and systems of evaluation, quality control, statistical analysis, and estimation and quantification. He was co-developer of WesVar®, which is software for estimating sampling errors from complex sample designs. Mr. Morganstein has worked with more than 50 organizations in North America and overseas in the teaching and use of statistical methods for quality assurance and improvement. Mr. Morganstein is a Fellow of the American Statistical Association and has been active in this and other statistical associations; he has presented workshops and held several appointed roles, serving as chairperson of various committees and as a member of the board of directors. He is an elected member of the International Statistical Institute and an instructor in the Joint Program for Survey Methods at the University of Maryland. Veronica F. Nieva, PhD, is an organizational psychologist and survey researcher. Much of Dr. Nieva’s work has focused on understanding, measuring, and improving human resource and organizational functioning in various contexts, including the military, private and public sector organizations, and health care delivery systems. Her recent research focuses on health care safety culture and quality, with a strong emphasis on dissemination issues. Dr. Nieva has co-authored two major books, Managing Creation: The Challenge of Building a New Organization and Women and Work: A Psychological Perspective, and has numerous professional publications.